DPRK Hacked into US War Plan. 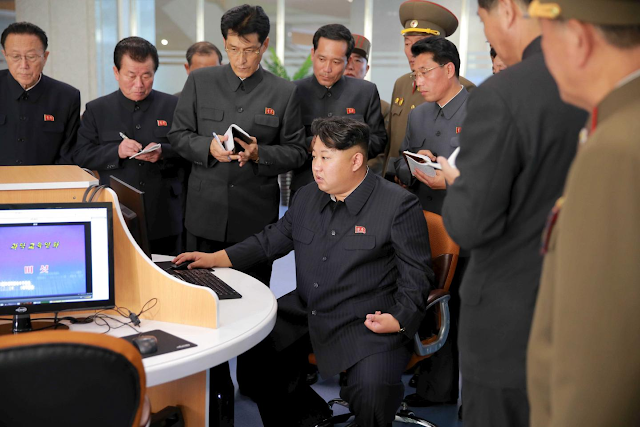 North Korean leader Kim Jong Un instructs officials at the Sci-Tech Complex, (KCNA). 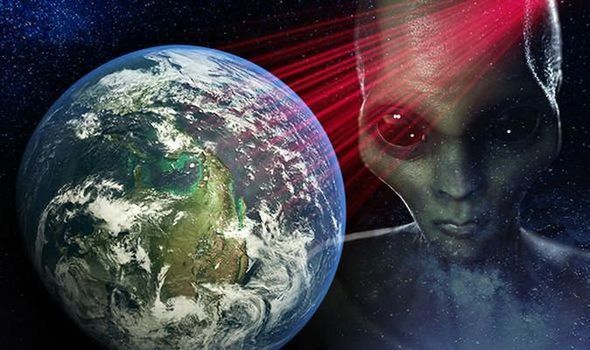 Experts have labelled North Korea's Unit 180 for cybernetic warfare as one of the mysterious entity and unknown world. The technical edge of North Korea confused many international security analysts including computer scientists about the exact capabilities of electronic warfare, the North Koreans possessing. At superficial level the DPRK it appears as less state with obsolete technologies improvised or inherited from former U.S.S.R some people were described DPRK's military as "tiger paper" and American intelligence analysts said in 2014 that it takes two decades for North Korea to have a nuclear warhead. However, this analysis is proven wrong, in many scenarios where some people even now changed their estimation that North Korean military might have EMP or E-bomb that capable of disabling US military satellites in orbit and jammed ground based computer systems and electronics. According to South Korean investigators who detected that North Korea's hackers have infiltrated the network of South Korean government,military and private owned companies that providing a service to the state ministry’s computer network long back since 2015. The investigators said the hackers operated out of IP addresses originating in Shenyang, a city in northeast China that had long been cited as an operating ground for North Korean hackers. The intruders used the several company's servers to infect internet-connected computers of the US-South Korean military preparedness with malicious codes, the investigators said. Some South Korean news media, citing anonymous sources, had earlier reported that the leaked data included wartime contingency plans. Hackers have also gained information about state-of-the-art military facilities, power plants' control systems and access the manual of joint military drills with the U.S. as well as reports for U.S. commanders include the so-called decapitation operation plan, OPlan 5015 and 3100. The operation plans are classified to the point that South Korean lawmakers from both ruling and opposition parties protested about the superficial briefing from defence officials when they learned the hacking activities started in 2015, as reported in local press at that time. Rhee Cheol-hee said hackers broke into the Defense Integrated Data Center in September 2016 and stole a number of classified documents. According to Rhee, the ministry still has to identify the content of about 80 percent of the 235 gigabytes of data that was stolen. "The Ministry of National Defense has yet to find out about the content of 182 gigabytes of the total (stolen) data," the lawmaker said in a statement quoted in the South Korean news agency Yonhap. In 2016, South Korea said more than 140,000 computers at 160 south Korean firms and government agencies had been targeted by North Korean hackers. However, North Korea has denied reports of the hacking, but it is no secret Pyongyang has trained a group of elite hackers over the years. North Korean leader Kim Jong-un smiles for the cameras as he tours the state-of-art Chonji Lubricant Complex. In 2014, a North Korean defector spoke of his experience at the country’s military college for computer science where top students are hand-picked to join the cyber warfare cell. Cyber security experts also believe Pyongyang hackers may have been behind the global “WannaCry” ransomware that swept out digital e-wallets of about £108,000 in bitcoin ransom paid by victims of malware globally. North Korea acquired much valuable information heralded by OPLAN 5015 especially the assassination plan “decapitation attacks”, to kill the North Korean leader Kim and the rest of the North Korean leadership and includes a pre-emptive strike on the North’s nuclear and missile facilities. The OPLAN 5015 was seen as a blueprint for a limited war, to avoid nuclear catastrophic on Seoul’s populace from the response of North Korea. The BBC radio propaganda has also tasted to symmetrical attrition of North Korea when it comes to jamming and other electronic intrusion, BBC radio broadcast the short waves radio into North Korea on 26 September this year, in a daring to create its miss-education to the North Korean population, but was relented useless when some irritating noise inserted into BBC radio broadcasting frequencies. It's quite very understandable that North Korea runs an army of hackers trained to disrupt enemy computer networks and steal cash and sensitive data. In the past decade, it has been blamed for numerous attacks against Sonny Company and cyber-heists in South Korea and elsewhere. In the attack in September last year, later code-named “Desert Wolf” described by anti-hacking security officials that, North Korean hackers infected 3,200 computers, including 700 connected to the South Korean military’s internal network, which is normally cut off from the internet. The atack even affected a computer used by the defense minister.